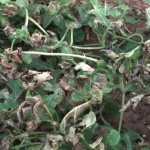 The disease is most severe during periods of cool temperatures and rain. 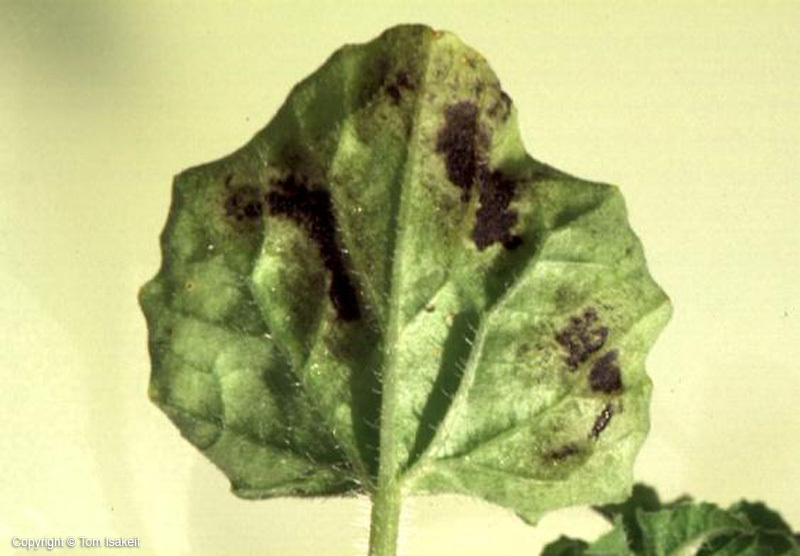 Irregular yellowish to brown spots, often vague in outline, appear on upper leaf surface near the crown (Image 1). 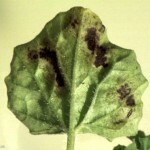 Brown spots later become more distinct on both sides of the leaves (Image 2). The underside of leaves exhibit a brown to gray fungal growth on wet mornings (Image 3), which disappears during dry weather. This growth is best seen early in the morning, or, alternatively, suspect leaves can be removed and kept several hours in a plastic bag with a moist paper towel to provide high humidity that encourages sporulation. 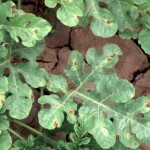 Spots enlarge rapidly and turn black and the entire leaf withers and dies (Image 4). 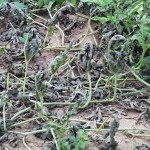 Leaf petioles of diseased leaves stand upright although the leaf is almost dead (Image 5). 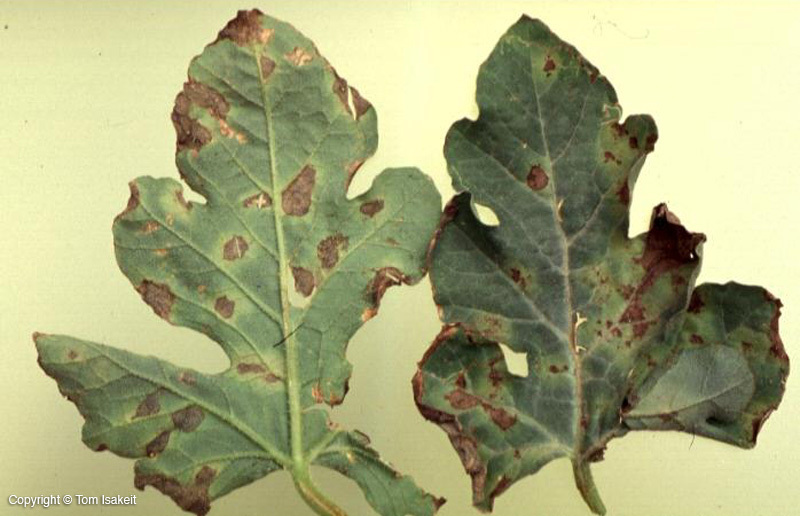 There can be a rapid, extensive loss of foliage with this disease (Image 6). 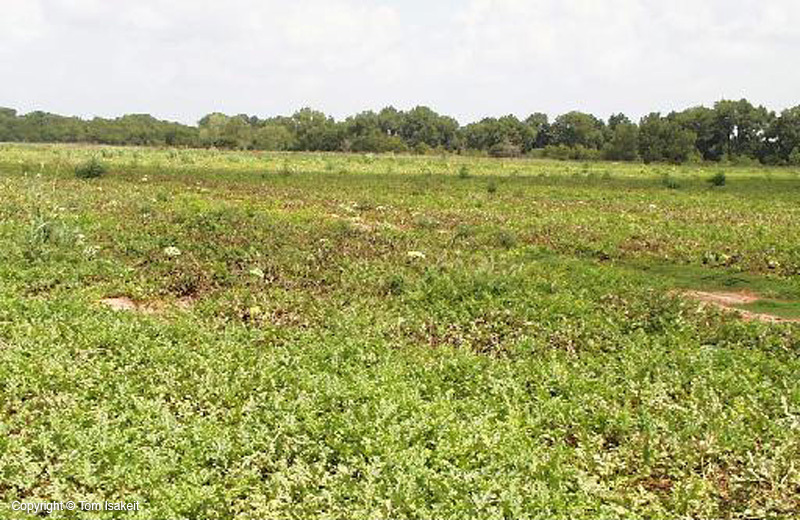 The disease is favored by cool (60°F night and up to 77°F day) temperatures, along with rain or continuous high humidity. 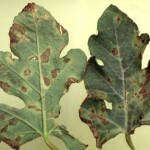 This disease can occur in a field miles away from other cucurbits, indicating that the spores can travel great distances. 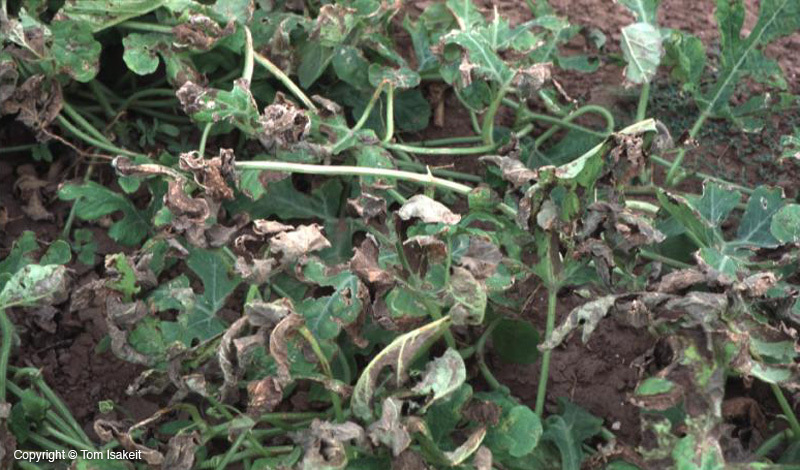 The fungus develops and spreads rapidly during cool, moist weather conditions. 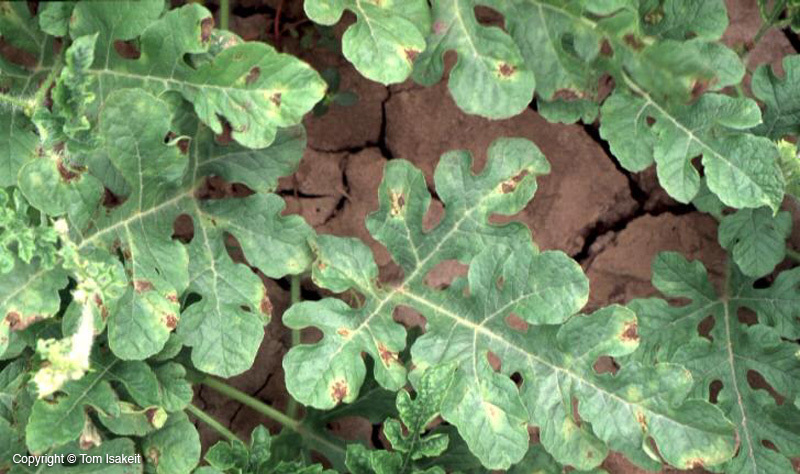 Excellent control of this disease can be achieved with mefanoxam (Ridomil Gold), which must always be used simultaneously with a protectant fungicide such as mancozeb or chlorothalonil, to prevent the emergence of resistant strains. It is important that these sprays are applied on a preventative basis, before the disease becomes established in a field. 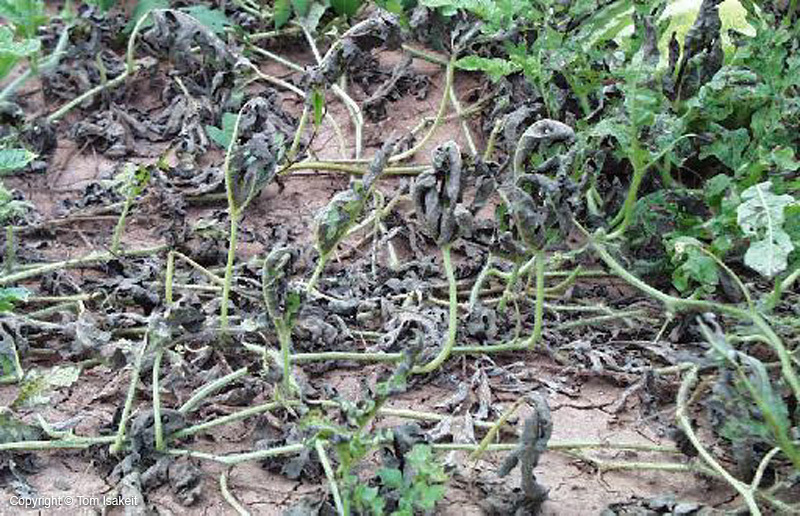 Some growers report that they only use chlorothalonil or mancozeb to effectively manage downy mildew, but, the key to their effectiveness is regular, preventative applications.